#BrumHour was invited to see Vulvarine by The Old Joint Stock. 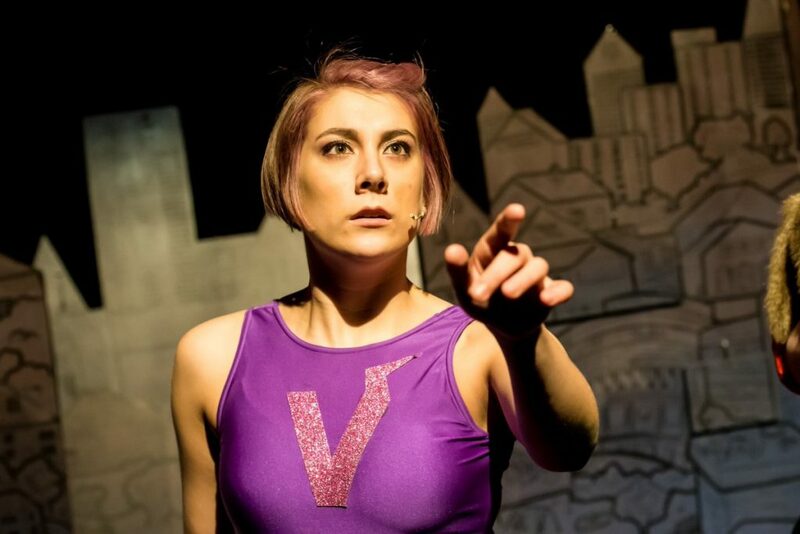 The delightfully titled Vulvarine: A New Musical is at The Old Joint Stock until Saturday 23rd March. 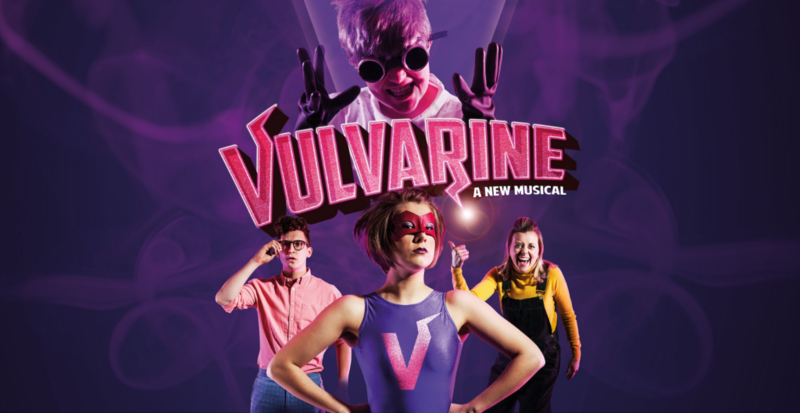 Vulvarine is the story of an accidental superhero, the alter ego of Bryony Buckle (Allie Munro) who is the subject of the evil villain Mansplainer (Robyn Grant) and his wicked experiments using sea creatures. As meek and mild Bryony Buckle our hero has uncovered some fraud in her job at the tax offices, the tampon tax is being syphoned off from its charity destination and being used to fund Mansplainer’s wicked ways. Include a love story, because Bryony Buckle is in love with Orson Bloom (Jamie Mawson) and this is a winner. 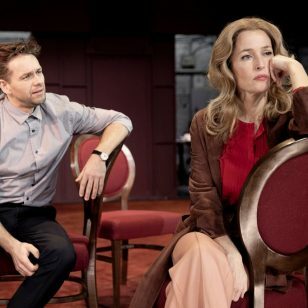 Once again the latest production, with Fat Rascal Theatre on at The Old Joint Stock is enormous fun. This place never fails to delight! I laughed until I cried at this slick, rapid, clever production. What I found particularly clever was when Bryony Buckle finds she has become a superhero and she puts on her glasses, the very clever way the audience are shown she can see better without her spectacles, then, Bryony Buckle finds she has super strengths so demonstrates by balancing a chair on the tip of her fingers, Bryony Buckle also turns invisible and the special effects for this are wonderful, but the absolute best special effect was when Bryony Buckle as Vulvarine flies from a building with her best friend Poppy (Katie Wells) and Mansplainer’s wife Sonya (Stefan Rizzi) tucked under each arm. Please, please, please go and see this, this is the funniest play I have seen this year and last year combined. 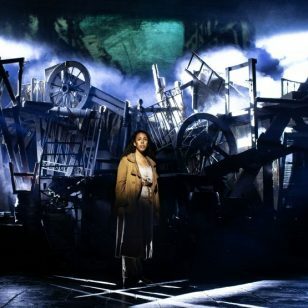 On a par with the cult classic Rocky Horror, this show deserves to be huge. Yes, some of the language is colourful but when a superhero confronts a super villain expletives happen. As always the sets are minimal in the Old Joint Stock theatre, but as usual, it works. A painted map of High Wycombe becomes the Mansplainers lair, the tax office and a news readers backdrop.Dozens of characters feature, all played by the tiny cast of five very talented actors and singers. If Vulvarine isn’t a new classic in the making there is no justice in this world. Not many shows reduce me to tears of laughter. Vulvarine, you will believe a girl can fly.